- And a great way to build brand awareness that can be at a lower cost due to the viral sharing opportunities. When done right, the infographic is a bold and fun way to present information about a subject. It's something you can quickly scan, presenting data-rich information visually. The best type of infographic is one that can be shared across many websites. If you're the company that has created that popular infographic then you should be able to benefit from increased traffic, as users will want to learn more. 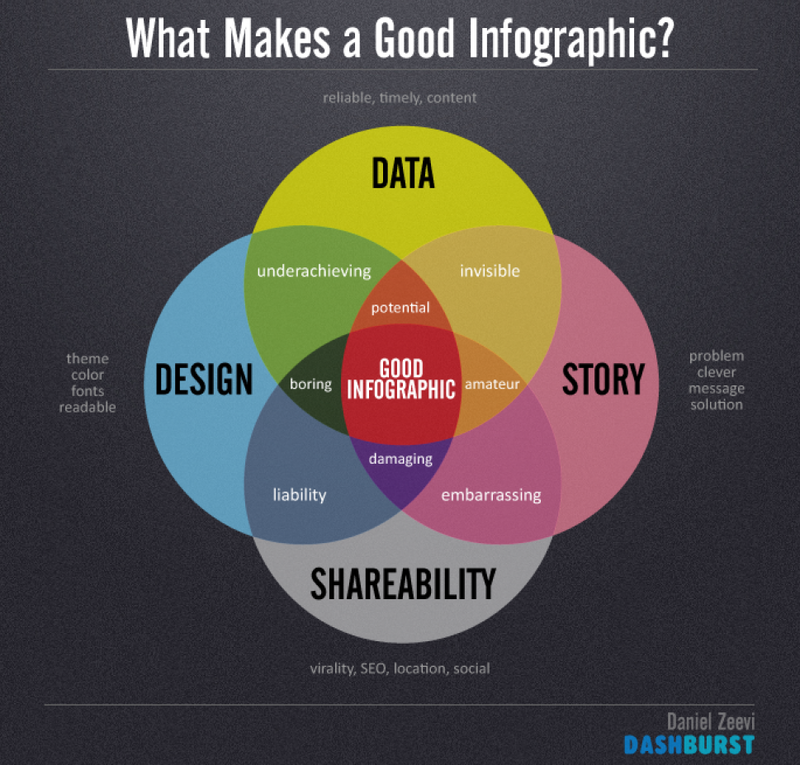 The most important component in an infographic is the actual "info." This means you need to find a legitimate source for all your data points. Thanks to all the published studies, surveys and research it shouldn't be hard to collect the data points you need to support the purpose of your infographic. You could even borrow data from another infographic. 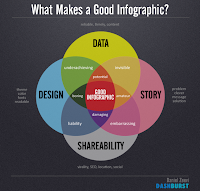 Just make sure that you source your data within the content of your infographic. Although you might find a free template for your infographic that doesn't mean you'll have the skills to get the job done. Instead of driving yourself crazy, look for a terrific graphic artist who has experience creating these kinds of pieces. Yes, this is an investment but it's no different than paying for original content. As you shop around for a graphic artist you might find some who will do the job for a flat fee while others work on an hourly rate. Don't hesitate to check out their portfolios before committing to hiring them. Your infographic wireframe is essentially the outline of the story your want to tell. You have your data points. Now you want to lay them out in an order that provides the information in a compelling way for the viewer. Remember an infographic is vertical so build your story with a engaging beginning, middle and conclusion. In terms of the number of data points, six seems to be what generates the most follow-up Tweets. Make sure your logo and website information is included at the bottom of the graphic. All your hard work won't amount to anything unless it gets read. That's where a strong headline comes into play. This is your hook. Research has shown that most viewers are attracted to number headlines like "Top Ten" or "Five Best" etc. If you can work in numbers to your headline you'll be ahead of the game. Before you're ready to send your infographic out into cyberspace make sure you've got embed code that will make sharing this piece as simple as a click. You should then search for the blogs that would appreciate the information that you're sharing. Set up a targeted email campaign for the high PR blogs. Those blogs will be happy to use your content to fill up their pages. Don't believe that? Google "Marvel vs. DC" infographic to see how many sites are sharing this single piece about which comic book company has better box office results. Hopefully, your infographic will have the same potential to go viral.